We all know dads love tools; we all love to give dads tools as well! Dads love to have the right tool for the job they also love to have the right tool to help their kids and neighbors…tools are great! I am sure that this father’s day there will dads all over the world unwrapping, gifts of tools. 1. The number one requested “guy” plant is the hosta, dads love the reliability of the hosta plant. 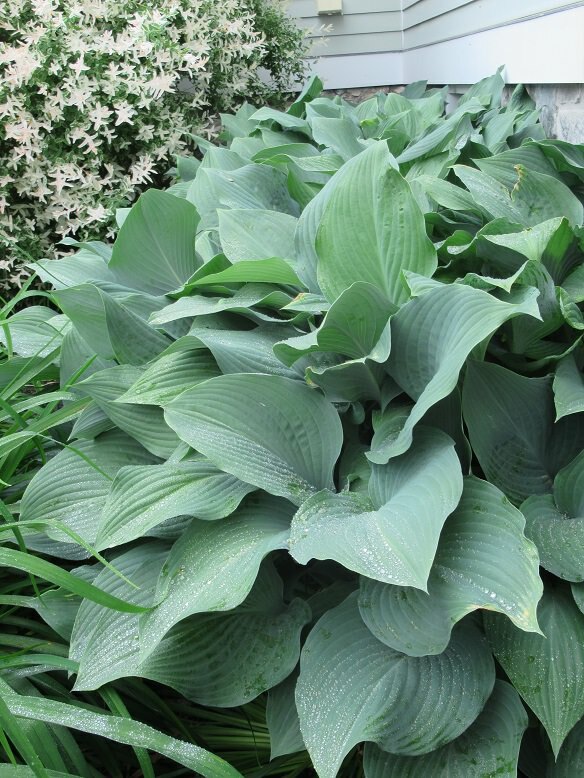 Hosta are not fussy, they are big and bold and a true garden staple that does not require much maintenance and hosta look…impressive. 2. 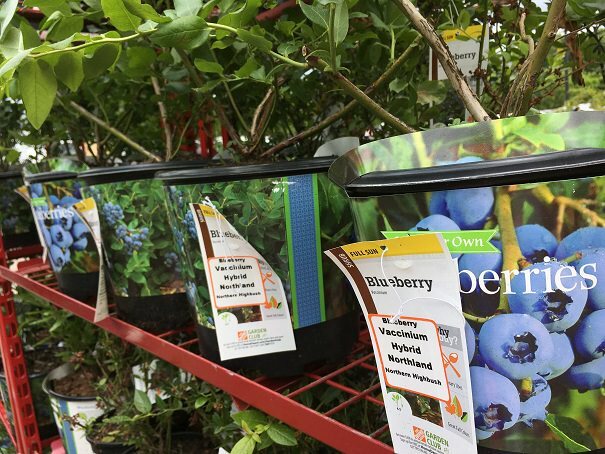 Blueberry bushes are a favorite of dads everywhere, ever since I started working at the Home Depot, over two decades now, kids seek out blueberry bushes to give their father. I always ask, “Why a blueberry bush”, and more times than not, I hear a story about how their dad made them blueberry pancakes when they were little…so many dads get blueberry bushes for father’s day. 3. 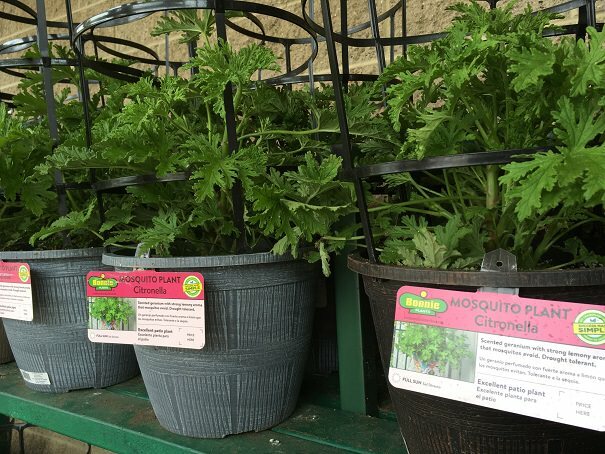 The citronella, Mosquito Plant is another plant sought after by dads. Dads love that they can put this scented geranium on the patio, porch or step and his family is “naturally protected” from mosquitoes, while in the area of the plant! The citronella plant is so easy to grow! I suggest the citronella plant to anyone seeking a plant for their dad. 4. 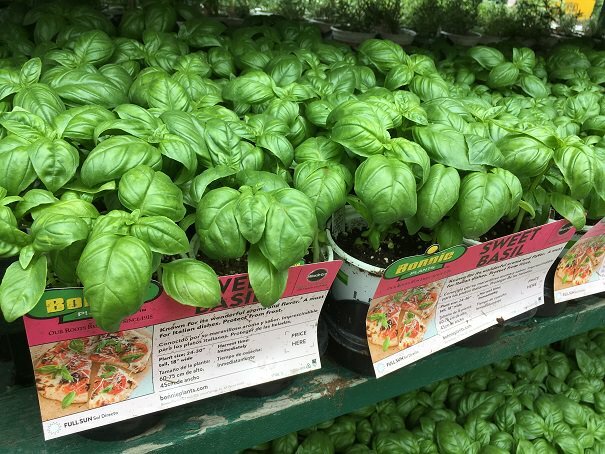 Basil is such a nice herb, it is easy to grow, loves to be cut, and dads love to add it to their favorite recipes. This is a “win-win”! 5. Grasses; are another “guy” favorite, (top image) dads love ornamental grasses because they are easy to grow and do not need much maintenance. 6. Hydrangea are really loved by all gardeners, but there is something about Boston dads and hydrangeas; I feel that is every dads goal, here in the Boston area to get their kids the cape for a beach day. Cape Cod is trimmed with hydrangea from the Sagamore Bridge, to the tip of Provincetown. 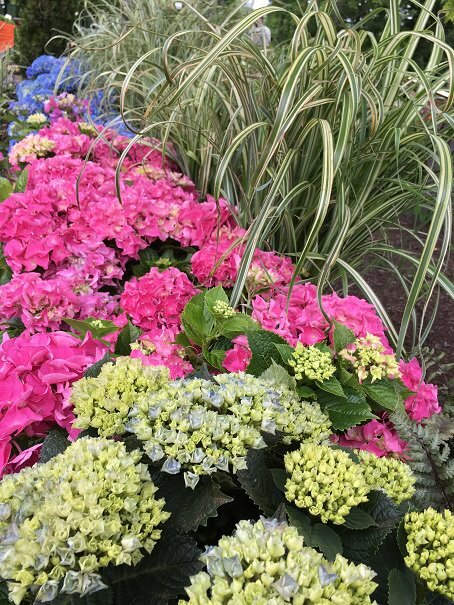 The hydrangea is a prized plant and it conjures up times gone bye for many dads….trust me on this one, dads love hydrangeas! Stop by your local Home Depot, shop our garden aisles, there is a plant for your dad, and of course we sell a few tools too!